Gr. 330 chocolate heart with customizable label and wrapping red or gold. Gr. 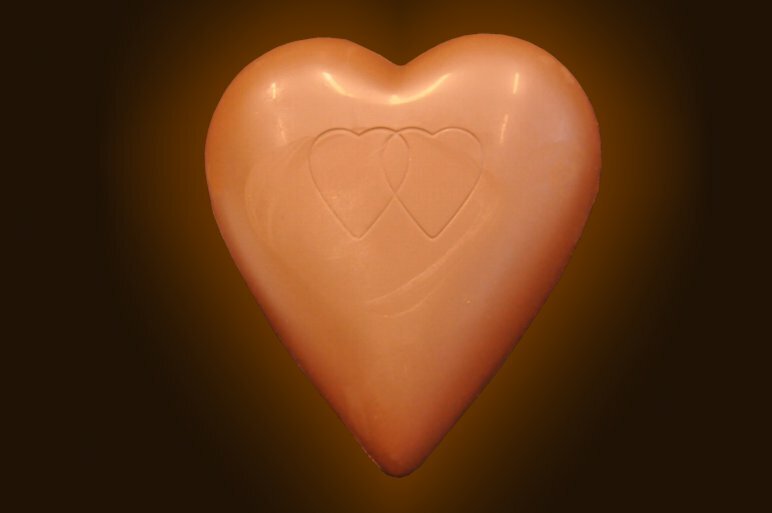 330 Chocolate heart manufactured with top quality raw materials such as P.G.I. Piemonte Hazelnuts (”Tonda Gentile delleLanghe” variey), Cocoa Paste from Central America and Africa and Bourbon Vanilla from Madagascar. 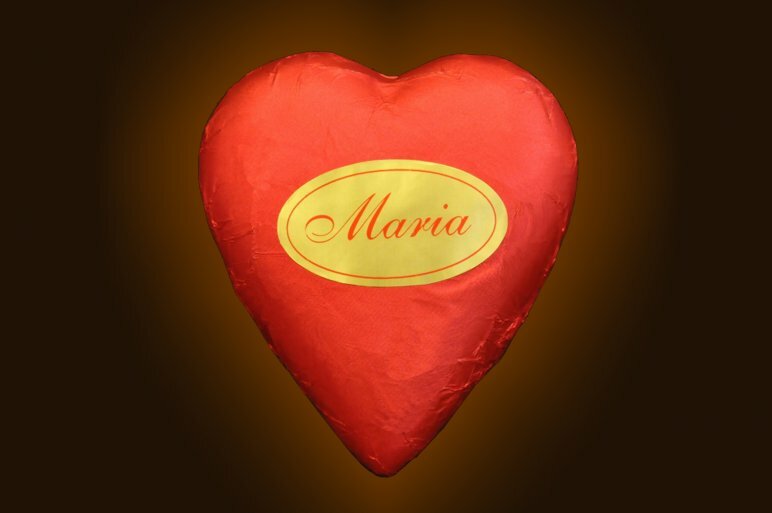 The label on the Heart can be personalized with a name or any words the customer requires without any additional costs for printing equipment. Golden or red wrapping. Golden label with black, brown or red print. Dimensions and weight : Length 150 mm. Width 140 mm. Height 25 mm. Weight : 330 Gr. Colors wrapping available : Wrapping color red or gold. Label color : gold. Printing colors available : Red, brown e black.